Fewer new motorcycles were registered in Britain in 2009 than in any year since Government began collecting the statistics. There were 114,900 new bikes registered last year, down from 142,000 in 2008 and 180,000 in 2001, when figures for all motorcycles were first gathered. The proportion of taxed bikes over 500cc rose from 45 to 75 over the last decade, during which many smaller machines ceased production due to tightening emission limits. 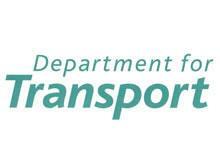 The Department for Transport figures also show the number of riders killed or seriously injured fell from 6634 in 1999 to 5554 last year. Motorcycles travelled 3.2billion miles during 2009 and 1.3million were taxed on December 31. Meanwhile around half of riders broke the speed limit on motorways, dual carriageways and 30mph roads. MCN is campaigning to get more people on bikes following concern over a decline in motorcycle test bookings. MCN 1000 is offering fantastic prizes for taking up biking or encouraging someone to do so.